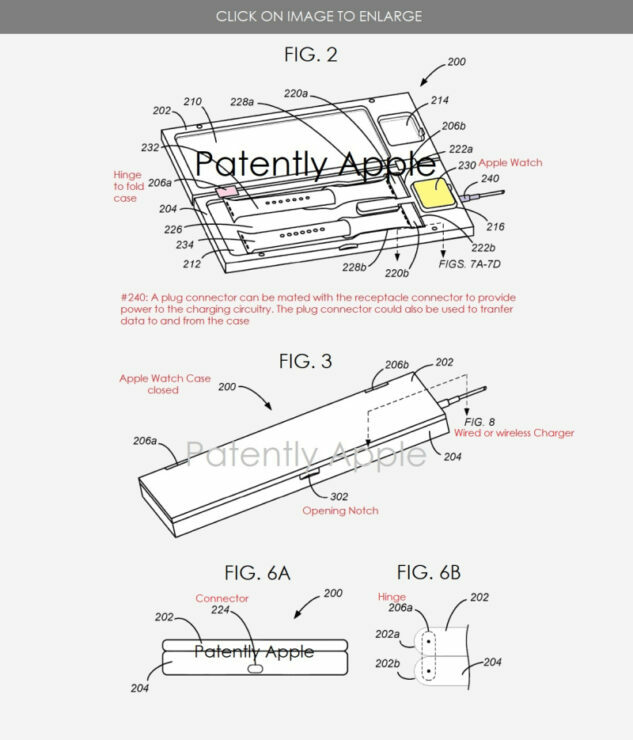 Apple files a lot of patents and it’s not necessary that we might see an end product of it. Today, Apple has been granted a new patent related to the Apple Watch charging case that works in a similar way to the AirPods case. With that said, the case will provide a place to store the Apple Watch when it is not in use. Simultaneously, the case will also charge the wearable. The functionality and operation of the patented case is similar to the one we currently use with the company’s AirPods. So let’s dive in to see some more details on the patent. 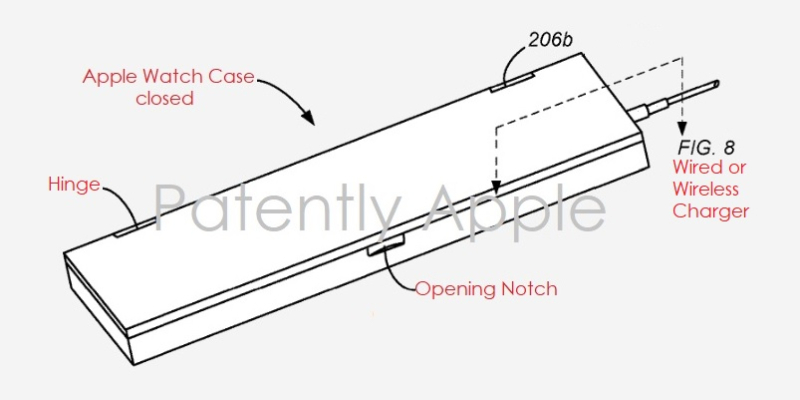 One thing to note here is that the Apple Watch case mentioned in the patent is different from the one we have seen with the original Apple Watch Edition. Since Apple Watch is something that you would wear every day for a longer period of times, a charging case does not make sense, but Apple has some logical aspects to back it up. Some embodiments of the disclosure pertain to a case that can securely hold and store a portable electronic device, such as a wrist-worn or other wearable electronic device, along with one or more bands that can be used with the device. Embodiments of the case can include circuitry that can charge the stored electronic device and some embodiments can further include circuitry that can charge the one or more bands stored in the case if those bands have electronic components, such as circuitry, sensors and/or batteries, that also require power. This narrows down further aspects of the case. Whether the case would house charged Apple Watch bands or something with sensors to extend the functionality of the smartwatch. Nonetheless, the case is just a patent at this point and we might not hear more about the product anytime soon. There will be more to the story, so be sure to stay tuned in for more details. This is all for now, folks. What do you think about the new Apple patent detailing an AirPods-like case for the Apple Watch? Share your views with us in the comments.